A day solely dedicated to celebrate the presence of women in our lives, the anchor amidst all the chaos, our mothers, sisters, wives and daughters, who ask for nothing in return, but give their everything to the ones they love, International Women’s Day is the opportunity pay them back in love, respect, and appreciation. Participating to express the admiration towards the contribution of women that make us what we are, this International Women’s Day, brands chimed in on social media with beautiful videos and messages. Here are some of the best International Women’s Day campaigns on social media. The e-commerce arm of the TATA Group, rolled out the #WhateverCLiQsForYou contest on social media for International Women’s Day, asking women to share the things they found perfect for them, even though it wasn’t the case with others. Speaking out against sexism, Vivel shared testimonials from #BossWomen sharing the stories when they said #AbSamjhautaNahin, and refused to compromise in the face of sexism. Empowering women from rural Indian villages, Google India undertook an activity this week in honour of women’s day, teaching them how to use the internet. Reliance Fresh’s #JeeLeZara urged women to step outside, and do what they love, and live for themselves for once, this International Women’s Day. The agency’sfor International Women’s Day campaign, #SheForHer, promoting unity and harmony between women, respect and have each other’s back, make each other stronger. An ode to working women all over the world, Ricoh India’s campaign spoke of equality at the workplace with a short video that nails its message perfectly. Narrating how women are the guiding force that supports the lives of everyone around them, Datsun India’s campaign #DrivenByHer pays tribute to women this International Women’s Day. With a message to share responsibilities, not for one day but everyday, to make life easier for the one who keeps our lives running smoothly, Mahindra Lifespaces created a beautiful video for their campaign, #BuildingTogether. Collaborating with Bani J for an International Women’s Day campaign, Vivo India chose to promote the message of self confidence in a short video. #CookForHer from Gowardhan encouraged men to step into the kitchen for a role reversal, and do what the woman in their life does, every single day, serve their love on a plate. In a unique women’s day initiative, Reliance Jio made a video #WithLoveFromJio, celebrating the women working behind the screens, making Jio happen, one sim card at a time. Wishing all the sportswomen for their efforts and achievements, Star Sports created a video with Indian sportswomen who have conquered the pitch, the ring, the court and the tracks with #CheckOutMyGame. 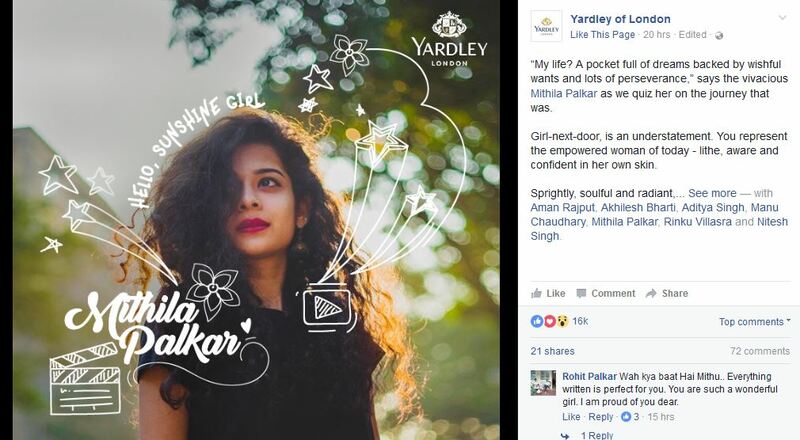 With an unconventional campaign, UrbanClap spread a positive message about Vaishali who is celebrating her first Women’s Day. The apparel brand celebrated the achievements, strength and courage of women who broke barriers, and paved the way for more women to do the same with their campaign, #IShapeMyWorld. Continuing their endeavour to bring about change, and to awaken people, Jaago Re unveiled a new video this Women’s Day with a few questions that would make us all pause and express sorrow at the way women are treated differently. Kids ask the simplest questions – or do they? On #WomensDay, here are some questions that need answers. Featuring Olympic Medallist Sakshi Malik, JSw Group took their women empowerment initiative ‘Janam Se Janani Tak’ one step further, expressing their belief in the strength of every woman. Choosing to tackle stereotyping of women, and applauding their strength and ability to break barriers, Dish TV shared a creative illustration on their social media handle under the hashtag, #DontStereotypeMe. 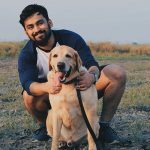 The sports brand asked their followers to share the name and story of the womann , who is their source of inspiration, with a short video on their social media handle. Refuting the dated statement that a woman should know her place, Urban Ladder spoke up to say that a woman’s place is wherever she wants it to be, from the kitchen to the board room, women can achieve anything. The real estate brand recognized and praised the achievements of #SheroesOfRealEstate, who have contributed to the growth and prosperity of the sector with their hard work and dedicated efforts. Appreciating the tough jobs that women handle, at home and at the office, sometimes both together, IndiaMART paid their respects and saluted women all over the world with #HatsOffLadies. Collaborating with Rahul Bose, who directed the movie Poorna, based on the story of Poorna Mahavath, the youngest girl to climb Mt. Everest, IndiGo shared an image of their aircraft with the name of the film imposed upon it to celebrate Poorna’s achievement. Celebrating women and all their hard work to make the lives easier for people around them, Shop CJ rolled out their campaign, #TheGreatIndianWoman. Urging women to not give in or give up to the judgements, stereotypes and name calling, assuring women that #YouAreNotWrong. Tipping their hats in gratitude to women all over the world, Oriflame wished a #HappySuperwomen’s Day on their Facebook page. 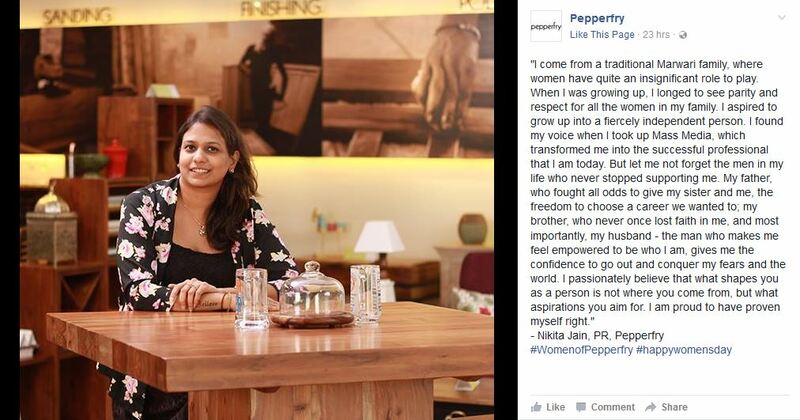 The online furniture store rolled out their campaign, #WomenOfPepperfry and shared stories of female employees of their company and their stories which many women would relate to. Phenomenal Women from DDB Mudra pays tribute to women, keeping true to their tradition of celebrating International Women’s Day each year with enthusiasm. This year they went a step further by featuring the women from DDB Mudra for the Phenomenal Women video. Celebrating women who have an unmatched passion and energy, and are truly unique, Yardley’s campaign #TheresAnAirAboutHer, featured five such one of a kind women. These are some of the amazing campaigns we came across. If you know of any campaigns that ought to be added in this list, write to us on team@socialsamosa.com.